Fall Theme for Preschool: Trees and Leaves, Pumpkins and Jack-o-lanterns, and Non-scary Halloween. 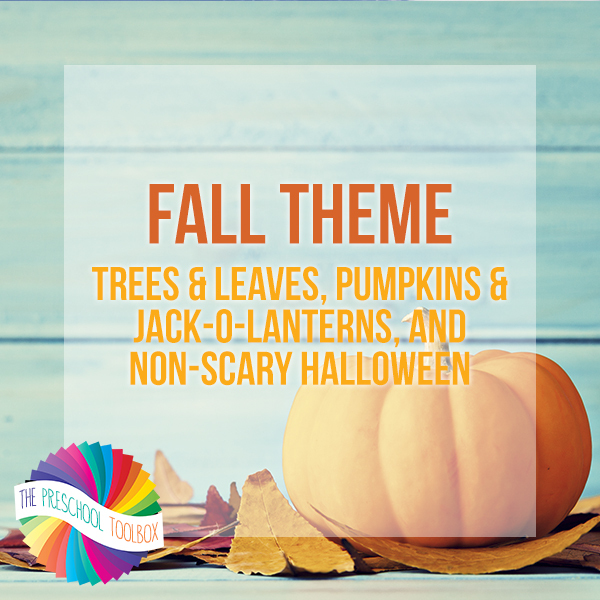 The Fall Thematic Unit contains 3 different themes in one unit: Trees and Leaves, Pumpkins and Jack-o-lanterns, and Non-scary Halloween. The suggested activities are designed for children ages 3-6, but extension activities are given where possible for slightly younger or older children. It contains: a 49 page instructional manual with songs/fingerplays, literacy activities, math, science, dramatic play, crafts, foods and food crafts, and an extensive book list for hands-on exploration and playful learning. The theme will download as a zipped file. Once the contents are extracted, there will be a main folder that contains the instructional manual, all 49 pdf files for activities within the theme, and 5 Power Points. The RED links in the main theme are not live, but are there to serve as a guide to tell which file to print for each activity. The GREEN links are for any Power Points.